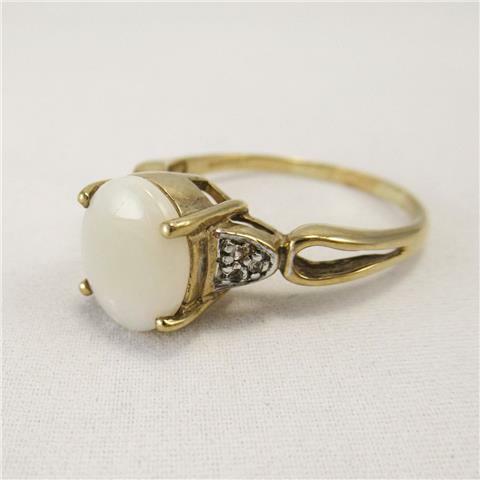 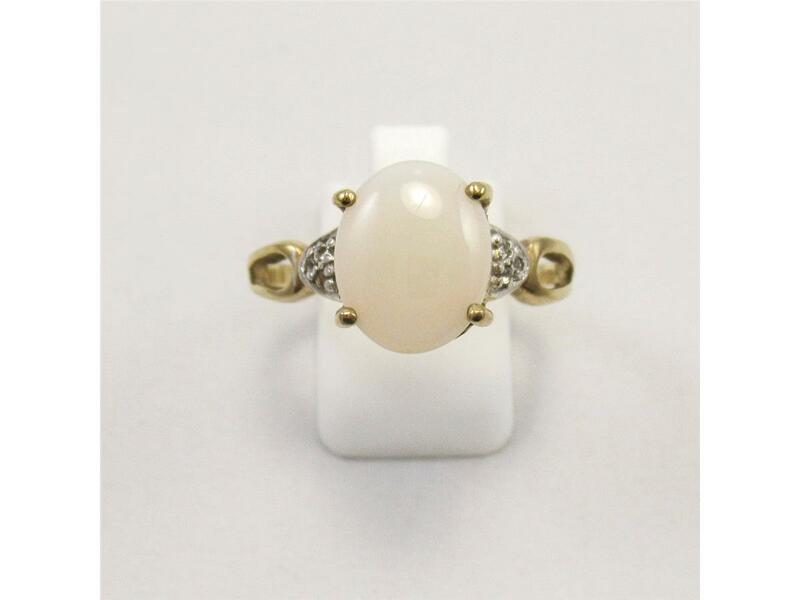 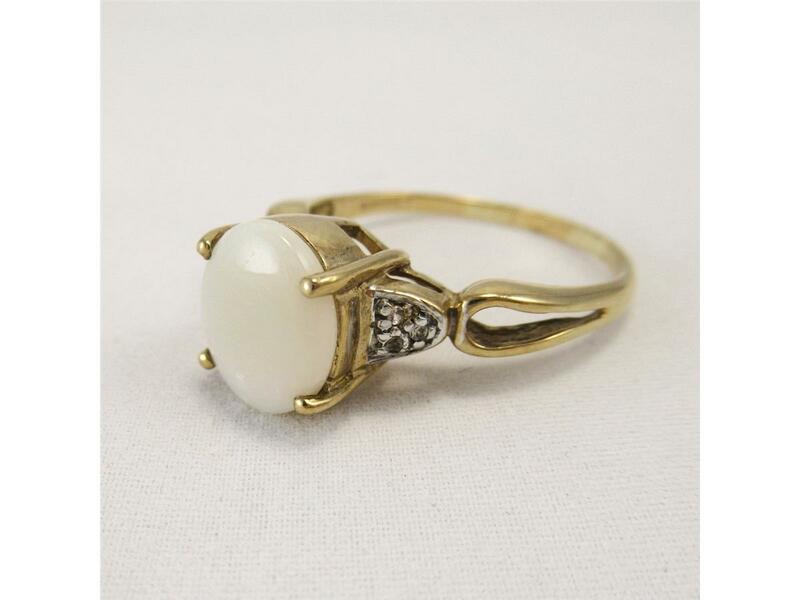 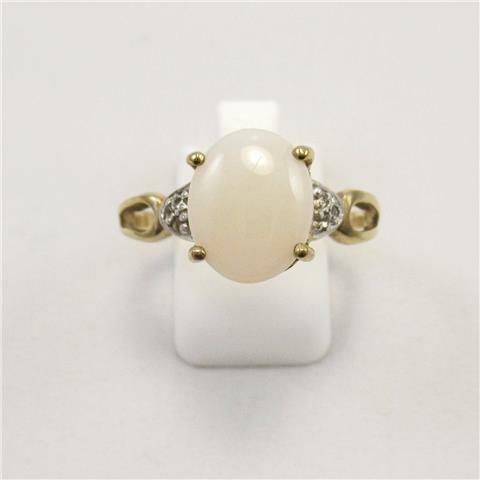 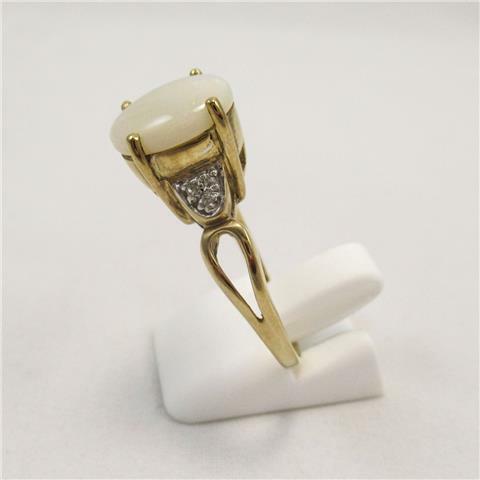 A wondrous ring boasting of a rich milky white opal, that has a lustrous pearl-sheen to it, looking gorgeous on the hand. 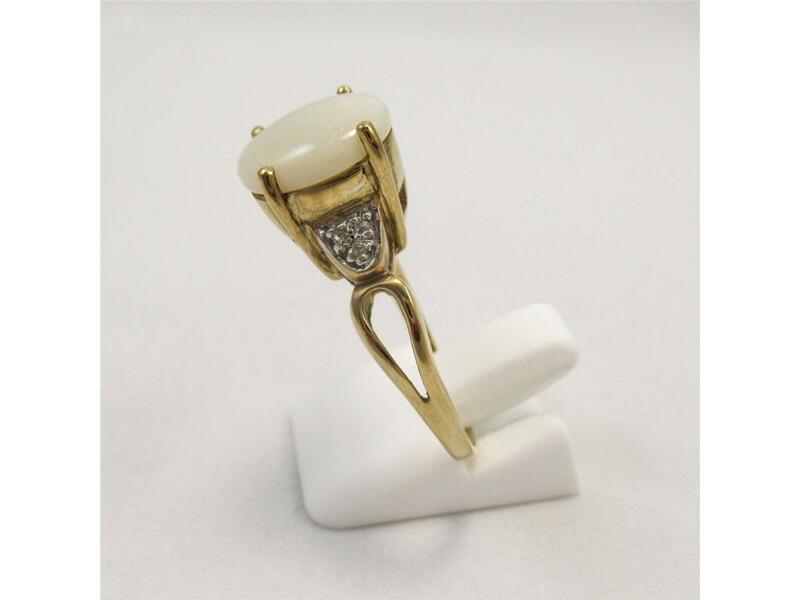 the quaint diamonds either side of this statement opal, really set off the vibrancy of the ring, complimented by the 9 carat yellow gold shank, that blends seamlessly into the setting. 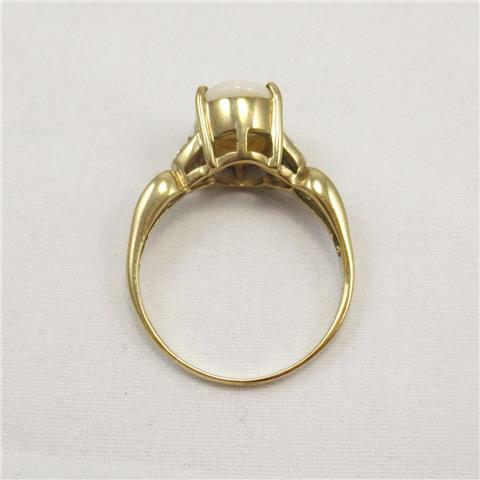 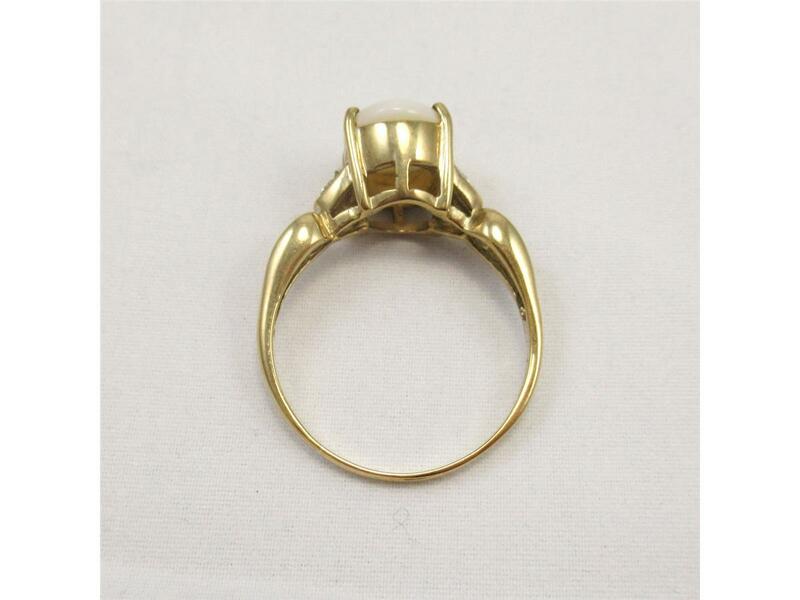 would make or a fabulous dress ring.